Cellphone Jones: A New (Unreleased) Slugs & Bugs Song! I started writing songs about family life when my kids were tiny. The first songs were lullabies and odes to diaper changes. Then came Slugs & Bugs and songs about lost pajamas, ninjas, and swinging on the swing set. Now, at 14, 12 and almost 8, the content has morphed again. When our oldest (Livi) was 11, she broke her wrist on a friend’s trampoline. This friend had an iPhone. As Livi waited for us on their living room couch, sniffling and wiping away tears, her friend sat nearby and played a game on her iPhone. When we arrived and picked up our injured daughter, Livi’s friend never looked up from her phone. That moment left a mark, and helped shape Livi into an admirable, considerate user of technology. I know she’s less attached to her phone than I am to mine. I say it’s because of work, but… is it really? This is the Smith Family’s favorite S&B record. 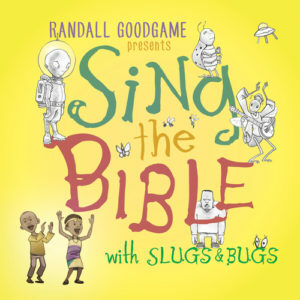 Randall is a singer/songwriter/ping-ponger and the creative force behind the family music brand, Slugs & Bugs. This is absolutely hilarious. I love it. i don’t know how you do it. i would have cracked up several times FOR SURE. it’s what my friend and i call serious bop. love it. 🙂 went from here and listened to several more on youtube with the kids tonight. The man in the Mets ballcap … wait for it … is me. Bum bum bum….